Google apps has closed a loooong time ago and if you plan to use a third party service provider for your emails, you’ll be hard pressed to find one. Fortunately, I bumped into ZOHO mail and I like what I see so far. 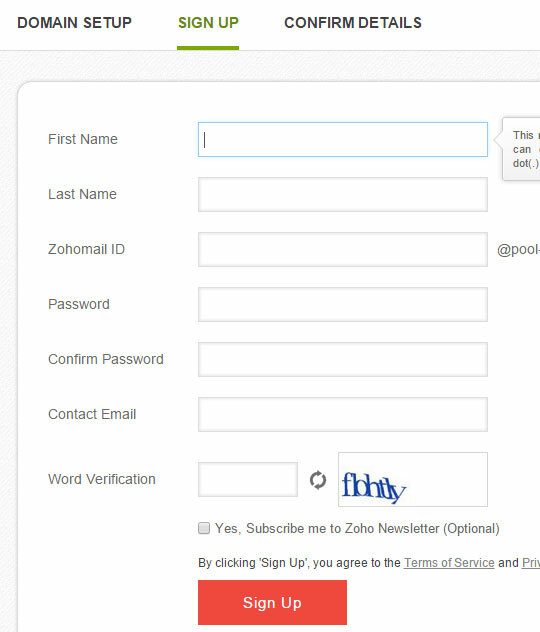 Head to https://www.zoho.com/mail/ and click on the GET STARTED button. Sign-up for the FREE edition. Place the domain you want to configure for email. Fill-up all the necessary information on the next form. Submit and you are done with your sign-up, proceed to verify your domain. You’ll be asked to verify your domain, easiest way would be to do it via the CNAME method. You’ll be required to enter a specific CNAME entry to your domain records. Follow the instructions and make sure to verify. Once you’ve verified your domain, you’ll be presented with instructions to add the specific MX records so that mails are routed via ZOHO’s mail server. Follow the instructions and you are done! Be sure to test your email addresses before publishing for use. Too bad gmail no longer offers free apps. I hope zoho doesn’t go this way, just used it on one of my domains. 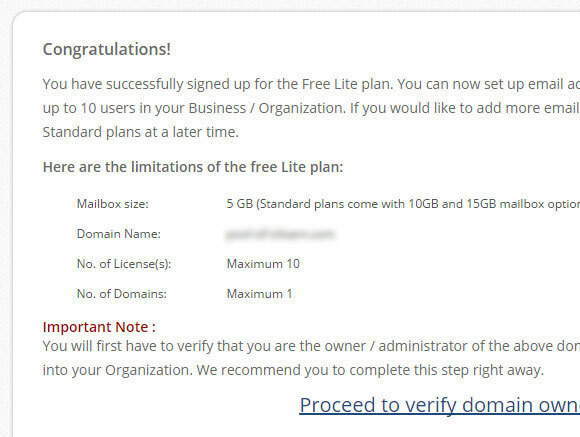 No guarantees but good thing ZOHO has this free tier.